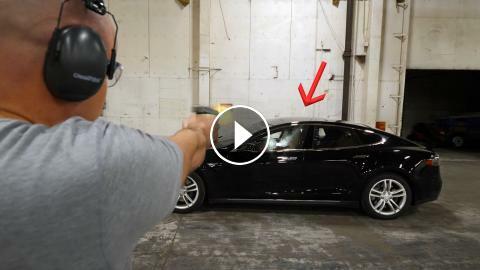 ﻿ Will a BULLET PROOF Tesla actually stop bullets? Adding bullet proof glass and paneling to a Tesla does add some weight to the body. BUT since Teslas are already pretty heavy its not a big deal. Loosing a few miles of range due to the extra weight might be worth it for the added protection. iPhone 7 - Now Shatter Proof? Bend Proof iPhone 6 Plus Case?